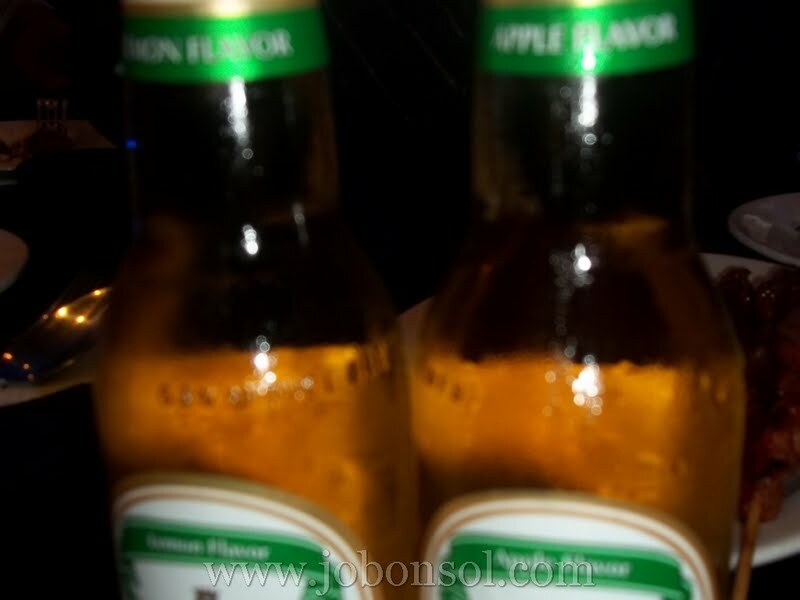 Event: Now I can drink SMB with Apple and Lemon Flavors! San Miguel Beer Fruit Flavors at 3% alcohol content is just the right beer for me. I've just attended the San Miguel Beer Fruit Flavors Party event last Thursday realizing how popular alcopops these days can really add up to my weight problem. 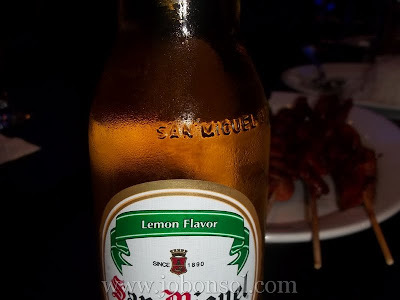 Popular Tanduay Ice introduced to me by a friend on our trip to Bataan was so sweet and a bottle actually contains too much calories compared to the new San Miguel Beer fruit flavors. 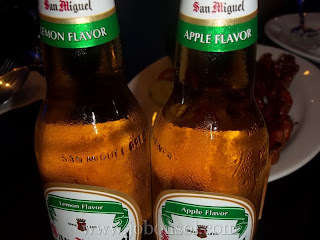 I must admit, it was sweet and San Miguel Beer's Apple Lemon flavor was also sweet but I think I'd prefer the San Miguel Beer's Lemon and Apple flavor because of its alcohol content. According to statistics by the CSPI (Center for Science in the Public Interest), half of the 19-29 year olds (47%) mistakenly think that calorie-rich alcopops have about the same or fewer calories than a regular beer and about half of young people who drink them also mistakenly share the same belief. I was also deceived thinking the same way because of the bitter taste of most regular beers. 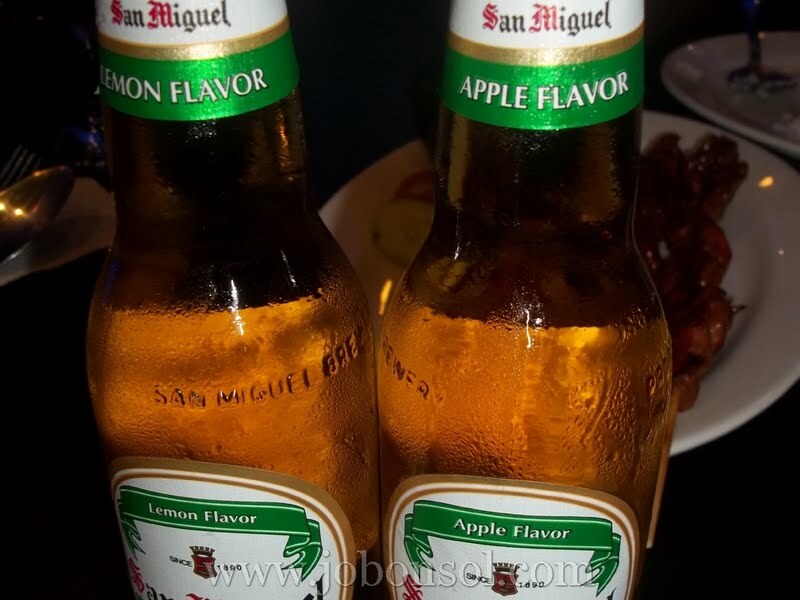 With San Miguel Beer's fruit flavors, I need not worry about calorie content because one cheeseburger containing 500 calories is just 5 bottles of San Miguel Beer equivalent to two of that mentioned alcopops most teens are addicted to these days. 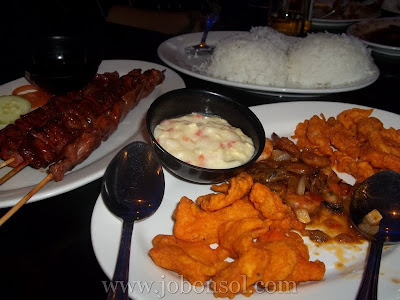 Those starter drinks commonly mistaken safe are usually served with high-calorie content dishes like Sisig, barbeque, fried foods and nuts which eventually add up to that belly problem. San Miguel Beer officials present in the event also announced their recent promos and events. They will soon launch a promo personalizing your beer buckets and it'd really be a great gift to people you love when you don't have the time to enjoy the party. Yes, personalized beer buckets! You can actually put your personal messages to your closest friends and with a bucket of beer brought to you by San Miguel Beer. Their most popular endorser, Sam Pinto, now the first in list of sexiest women in the Philippines represents the image of San Miguel Beer with a low calorie content. I was also happy hearing the great news of San Miguel Beer bringing Chicane back in Manila sometime this year. I'd tell you more details soon but you can receive better updates if you like San Miguel Beer on Facebook and participate in their promos and activities. Click here for more details.